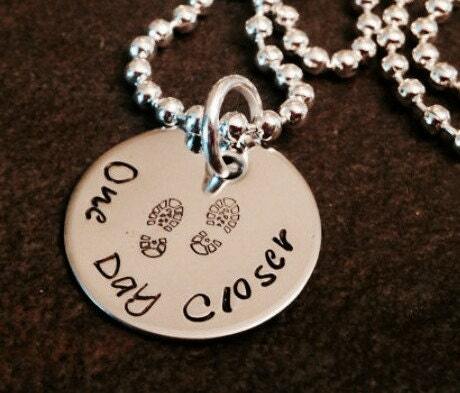 3/4" round necklace that says, "one day closer" includes combat boot stamp in the center. Please feel free to change the wording! Popular choices are "home is where his boots are", "my other half is deployed", Etc. 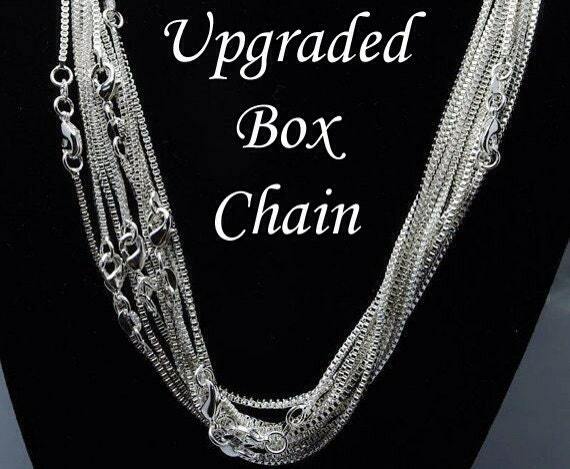 Please use the drop down menu labeled "Chain options" to select between the standard 24" ball chain and the silver box chain. The photo makes this necklace appear yellow gold in color. It is silver. Sorry for any confusion. 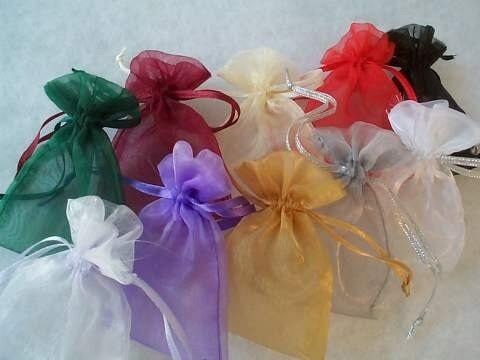 See he links below I add a name charm, birthstone crystal, gift box, etc.